15. 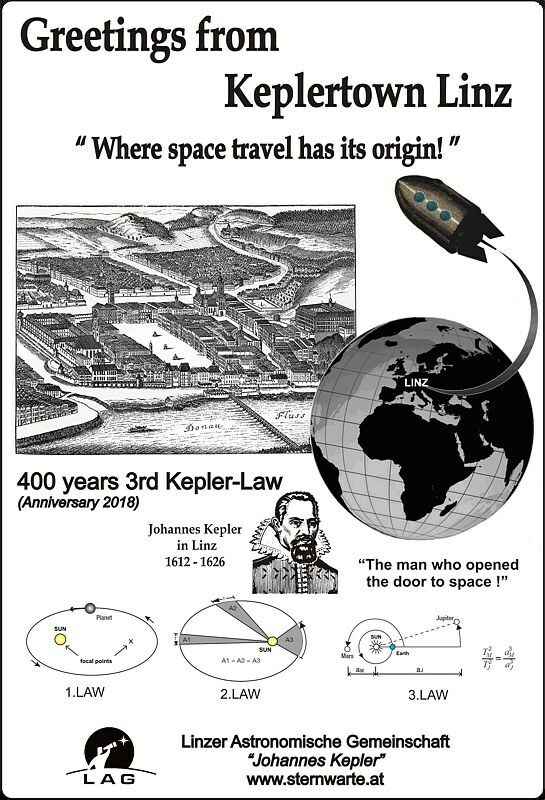 May 2018 - "400 year - 3rd Kepler Law - ANNIVERSARY"
Why do we know when Kepler discovered his 3rd law ? 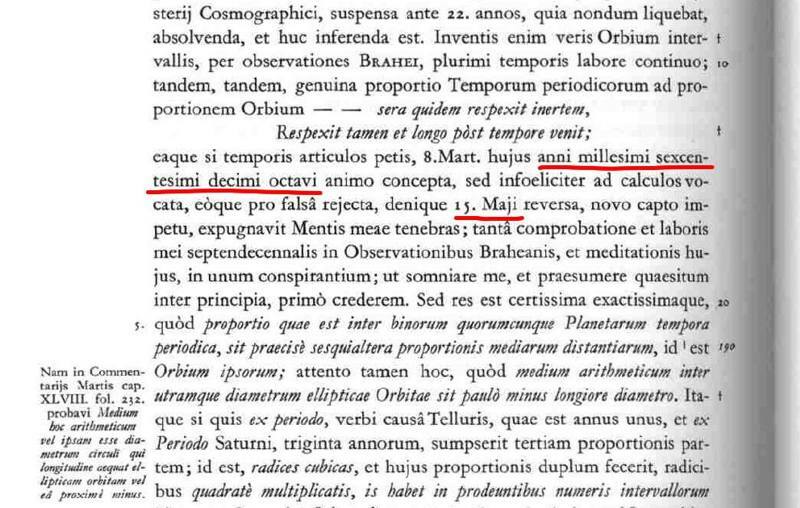 Because he wrote about this lucky day in his life in his famous book "Harmonices Mundi"
...... on page189 you can read the date. Following I have marked it in the Latin written text. The Bavarian Academy of Science and Humanities in Munich. has published a collection of all Kepler books. In this collection there are new, and better readable prints. 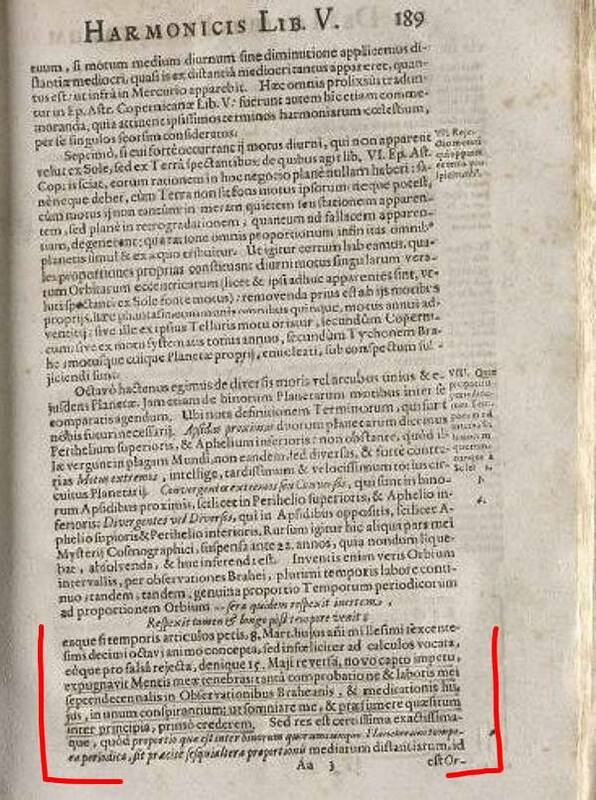 I have marked the important Latin written text. 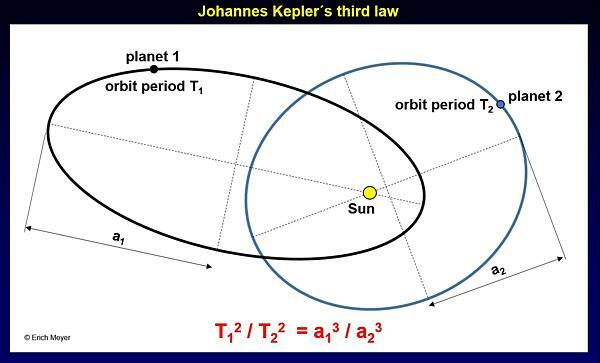 Doubtlessly, today we know about the importance of Johannes Kepler's laws for calculating orbits from planets or even spaceships.